iPad 9.7 inch 2017 model is grabbing lot many eye balls, and people who didn’t think of buying it are actually the ones who direly want it. A few days back, came up with a list of best iPad 9.7 inch 2017 cases and covers which we personally found worth checking out. If you bought any of the ones from that list, don’t forget to share your reviews with us. While on the other hand, if you are the one who is yet to decide upon which case to go for, here I have one superb option which is another best case for 2017 iPad 9.7 inch model. I am sure you’re gonna love this wonderful case for all the good reasons. Want to know about the case? Read on! The F4 Shoulder Strap iPad case comes for 9.7-inches 2017 iPad, 9.7 inch Pro, Air 1 and Air 2 is the lately introduced rugged, stylish, lightweight and durable case that you’ll love. 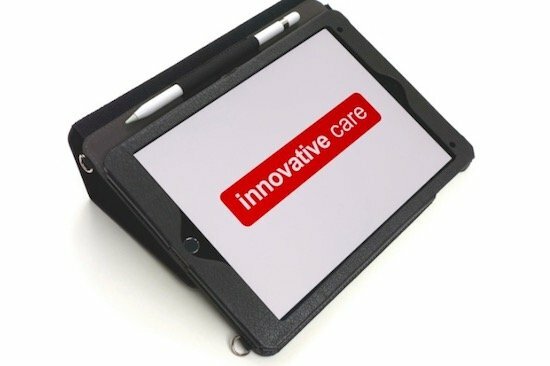 It’s a wonderful pick for people who carry their iPad on the go. 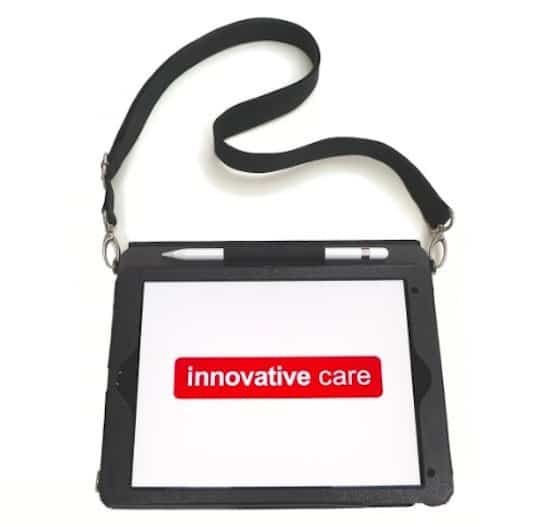 The shoulder strap provides hands free carrying of your device besides ensuring utmost care. 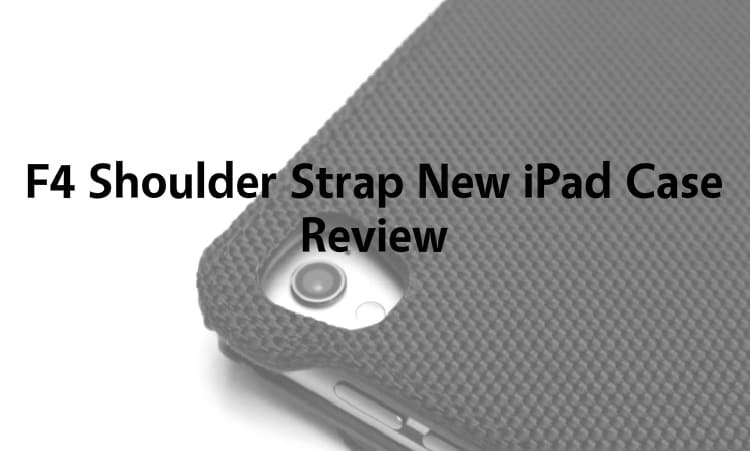 What are the Standout Features of F4 Shoulder Strap iPad Case? The case is compatible with 9.7-inch iPad Pro, iPad Air 2, iPad Air 1 and NEW 2017 iPad. The shoulder strap makes it easy for the users, letting them enjoy hands-free carrying of their device. The strap is detachable. 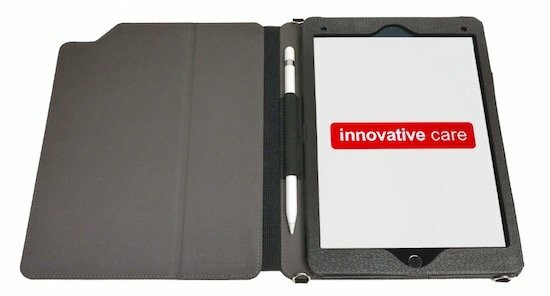 The case has added material that protects the corner surfaces of the iPad. F4 has the front cover, but it does not block the iPad’s rear camera when folded against the backside of the case. There is a corner cut-out in the front cover to make sure, it doesn’t obstruct the iPad’s camera lens. The price of F4 Shoulder Strap iPad case is $59.99 + shipping & handling. You can place your order with fast 2-4 day priority shipping with tracking. Not only that, you will also get a 1 year warranty when you buy F4 iPad 9.7 inches 2017 case and for other models too. To wrap it up, I loved the F4 Shoulder Strap iPad case for the reasons like it promises to protect your device, comes with shoulder strap and look beautiful. I believe, you all would happily shell out this much for the safety of your device that too for the case that let’s you carry it anywhere with ease. 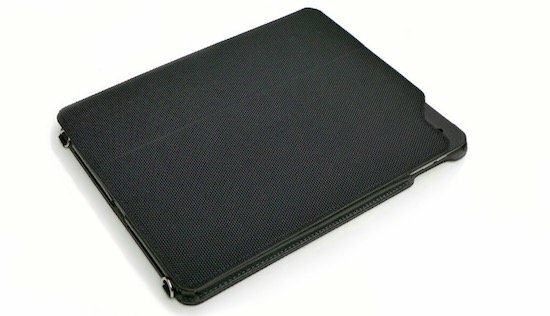 What’s your take on this awesome iPad 9.7 inches 2017 case? Do let us know in the comments section below.